Polska wersja tego artykułu znajduje się tutaj. The Rev. Prof. Konrad M. Rudnicki shared with us his text devoted to the recently departed Prof. Jerzy Nowosielski. It was written for a well-known Polish quality magazine, but the editorial stuff returned it to the author, saying that it had already finished publishing articles on Nowosielski. This decision, to put it euphemistically, surprises us a bit, but we are of course glad that because of it our blog became the first place where the text will be published. It is a great honour for us. We would like to thank here the Rev. Prof. Rudnicki for trusting us, and at the same time to use this opportunity to encourage you to read the interview we published some time earlier, as well as other resources you might find under the tag Konrad Rudnicki. The previous post devoted to Prof. Jerzy Nowosielski are of course also available under the tag with his name. The article is noteworthy also because it provides an interesting account of the history of Polish Orthodoxy and ecumenism in the 1950s. While reading the now numerous memoires of Jerzy Nowosielski, I miss an account of an important aspect of his bond with Orthodoxy. I dare then to write something about a little – as I can see – known episode of his life. Please forgive me that I take up this task having a bad chronological memory, unable to indicate a precise timeframe of the events. At the turn of the 50s into the 60s, Fr. Jerzy Klinger, later a professor of Orthodox theology, came to Warsaw. The few of us fascinated with his uncommon, ecumenical approach to theology gathered in his apartment which adjoined the John Climacus Orthodox Church in Wola [a district of Warsaw]. To that circle belonged an Orthodox painter and stained glass painter traveling regularly from Cracow, Adam Stalony-Dobrzanski, former officer of the Kosciuszko Army [Polish army fighting together with the Soviets during World War II], Serafin Michalewski, who was an ordained Orthodox deacon, Jerzy Nowosielski who was often coming from Lodz, and I – an astronomer from the Warsaw University and a deacon secretly preparing himself for priesthood in the Mariavite Congregation. In the dark time when ideological oppression was slowly decreasing, we planned missionary actions that would be possible when the oppression was gone, as well as the general order of the future Christianity. We used to call ourselves “a council of tzadiks”, understanding the Hebrew word צדיק in its non-denominational meaning of a righteous man, and that was how we saw ourselves. From time to time Zofia, Jerzy’s wife, also took part in our meetings, and sometimes so did Krystyna Zwolinska – a conscious agnostic, but with Christian subconscious. It’s impossible not to mention Mr. Jan Anchimiuk, the present [Orthodox] Archbishop of Wroclaw – Jeremiasz. In order to complete the background of what I intend to tell about, I would also like to mention that it happened shortly after a Canadian Pole, Aleksandra Pawlowska, had left Warsaw. She had come there as a Bahá’í missionary and while looking for ecumenists in Warsaw, she found access to our “council”. She explained the rules of Bahaism to us, the only one – in her opinion – truly ecumenical denomination, and wanted to make us its followers. Since we – though treating friendly both the nice Mrs. Aleksandra and Bahaism – remained in our denominations, she considered us unreformable fanatics and turned towards other people. Before, however, she had given us some Bahá’í literature. Serafin was the one who became most interested in it. He studied it, was fascinated with the theological ideas he read there about and used to present us the most interesting of them. He was a step away from adhering to them entirely. Jerzy Nowosielski, sticking in his memories at the Ukrainian [Byzantine] Catholic Church, was then looking for elements of the original Christianity in religion, and came to the conclusion that the Eastern churches preserved most of them. His interest focused on the Abyssinian [Ethiopian] Copts, but since the most Eastern church in Poland was the Orthodox Church, he got involved with it for good, without breaking his cordial relationship with the Byzantine Catholics who were persecuted then. He liked the position of Serafin and me, which enabled us to belong to the outside world and the same time fulfill sacred duties. He himself thought about receiving the Orthodox Holy Orders, and if it wouldn’t be possible to gain a position similar to ours, of a free artist from time to time fulfilling liturgical duties, he was considering becoming a full-time priest, even in the deep country. That was what Zosia, his wife, was afraid of. She tried to explain it to him that this would force him to greatly restrain his artistic activity, and in the ideological circumstances that prevailed in Poland at that time, it would simply make it impossible for him to take part in many artistic events. 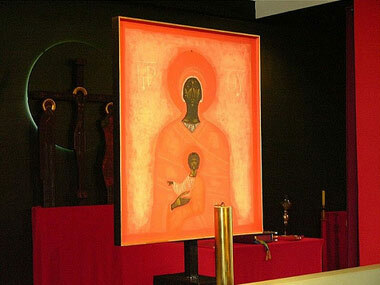 But he would answer that the sacred ministry to the neighbours is more important than artistic satisfaction. She used stronger and stronger arguments, as for example that it is extremely important to provide food for the people, but it would be a harm for his talent if he were to raise pigs at a State Agricultural Farm. Yet Jerzy desired the Holy Orders more and more. Eventually Zosia stopped opposing it. The case wasn’t simple, however. 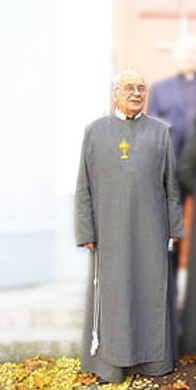 The wise hierarch, Metropolitan Dionizy Waledynski, lived as a private person in the parish house next to Klinger’s apartment, where we could sometimes visit him and admire his beautiful, majestic stature, which remained even despite his fading memory (he remembered only his youth and the theological matters; what happened an hour earlier escaped his memory). The Polish Autocephalous Orthodox Church, on the other hand, was ruled by Metropolitan Makary, who had been sent from Moscow and considered it his task to make Polish Orthodoxy Russian again. To ask that Metropolitan and his subordinate bishops for the Holy Orders was a nonsense. And then a new opportunity arose for Jerzy. He was allowed to go to France. About the broad-minded French Orthodoxy, even the part of it subject to Moscow, we heard much good. A concrete plan was made for Jerzy to get the Holy Orders in Paris. They couldn’t be denied in Poland. And then all of a sudden the Nowosielskis realized they had a serious problem. They weren’t married in the church, which no one of their friends knew about. A rushed Orthodox wedding could attract attention to the fact they had previously lived without it, which would make receiving the Holy Orders even more difficult. In consequence, after an exhaustive conversation with Metropolitan Dionizy (yes, with Dionizy, and not with Makary, who was in charge then) they decided that the wedding would take place in absolute secrecy, so that no church employee could notice it. Jerzy would get his letters of recommendation, which would confirm also his marriage. Nobody would ask when the wedding took place. Apart form the couple that came from Lodz and Fr. Jerzy Klinger with his wife, only we, the two best men required by the church law, were allowed to participate in the secret: Serafin Michalewski, who made his apartment available for that occasion, and I – six people altogether. Zosia wanted a ceremony in the Polish language, but since the translation from Old Church Slavonic turned out to be defective, which we discovered only just before the wedding, they were blessed with the beautiful ancient Slavonic words. Serafin and I were holding the ritual crowns above the couple’s heads, and the groom said that even though the wedding was still and in a private apartment, and not in the church, it was very solemn, because apart from an Orthodox priest, two deacons took part in it, one Mariavite, and the other… Bahá’í. After Jerzy returned from Paris, it turned out that having become acquainted with the situation of French Orthodoxy, he stopped aspiring to priesthood. From then on the topic of his ordination, to Zosia’s joy, disappeared from conversations, and even shared memories. Jerzy gave me a wonderful present for my ordination to the priesthood. It was a piece of wood with the icon of Christ on its one side, and with my monastic patron saint, St. Paul the Apostle, on the other. Until today it stands on my home altar, with the face of Christ on the front of it. On the image of St. Paul I sometimes meditate in solitude. Shortly thereafter Jerzy and Zosia moved to Cracow. So they lived further from Warsaw than when they had lived in Lodz. A few years later I too moved from the Warsaw University to the Jagiellonian University, where I was appointed head of the Institute for Observational Astronomy. 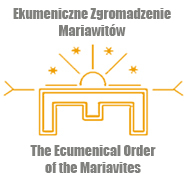 At the same time I started ministering to the small Mariavite parish in Sosnowiec. I renewed close relationship with both the Nowosielskis, which after several years borne fruit in form of a paper we wrote together on the representation of time in the pictorial art presented in Lodz at the 14th Cracow Summer School of Cosmology “The Structure of Space and Time” . That was how I became co-author of my first work from the field of aesthetics. At the same time it was probably the only work of Jerzy related to Cosmology. Jerzy – even though he was not the best singer – visited me from time to time to sing the Kleszczele carols  together with Adam Stalony-Dobrzanski and Tatiana Markowiczowna, who would sometimes come from Bialystok. I used to visit him in order to listen to stories about little known events from the church history, talk about rarely discussed theological topics, and with both him and Zosia discuss aesthetics. Much of the content of these discussions I included later in my lectures in Bydgoszcz [at the University of Environment] and in my textbook. We had our talks sitting at their table. We had them also later, when the both of them would no longer be able to leave their beds. Following Zosia’s death, when Jerzy was losing his memory more and more, it was difficult to talk with him. I used to sing him the Ukrainian songs I was taught as a child by my mother. It would clearly brighten Jerzy up. He listened, corrected the mistakes I made in the Ukrainian pronunciation, and sometimes threw in the words I forgot. And then, when my legs were of not much use anymore, I stopped visiting Jerzy. I learned about his death from the media. I couldn’t attend the funeral. Kleszczele is a village in Poland where three languages meet: Belarussian, Ukrainian and Polish. Many inhabitants speak a mixture of languages, and the Kleszczele carols are a topic for Musicologists. This entry was posted in English entries and tagged Jerzy Klinger, Konrad Rudnicki, Mariavitism, Nowosielski, Orthodoxy. Bookmark the permalink.